Home » Morf’s Brand: Recycled Cuteness! 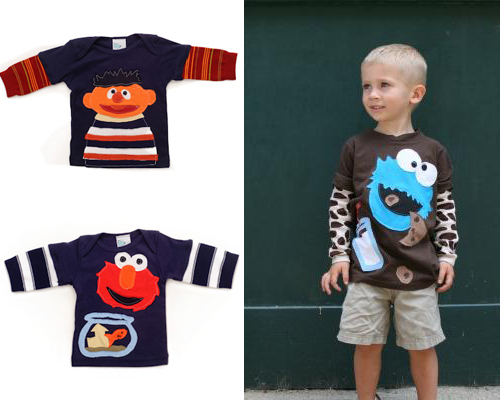 One of the most adorable t-shirt collections I have come across is Morf’s Brands Sesame Street line for pre-schoolers. 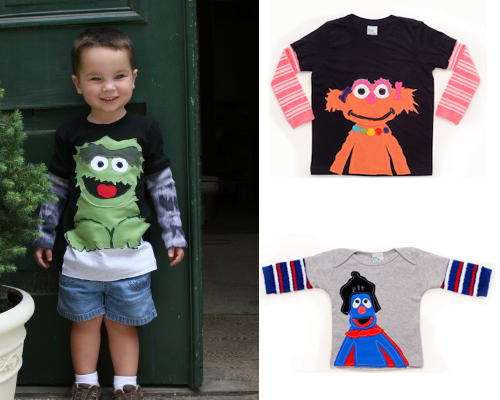 This innovative company, founded by mom Julie Barger, was made popular with their Monkey sock designs and vintage superhero designs before introducing their newest line last Fall. These one-of-a-kind shirts are handmade from recycled fabrics, leg warmers and comfy t’s. SO cute! Priced at $68, these long sleeve shirts are a worth while splurge – especially if you have an upcoming event to attend where you want your child to stand out.